Note: nutritional information is currently a Pro feature. To learn more about Mealime Pro, please visit this article. If you're a Pro subscriber and looking to find out the calories, macronutrient or micronutrient breakdown of a recipe, look no further! 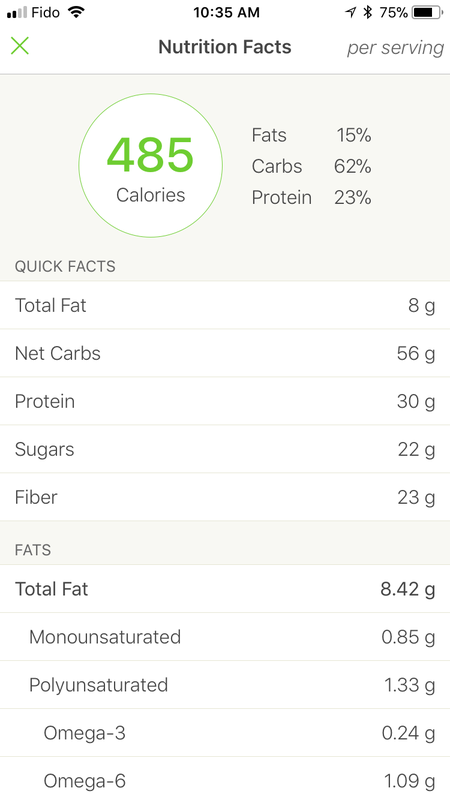 Nutritional information is available to you wherever you find recipes in the app: in your Meal Plan, in your Favorites, and in the Meal Plan Builder ( when previewing a recipe). Here's how to view recipe nutritional information on the various platforms. 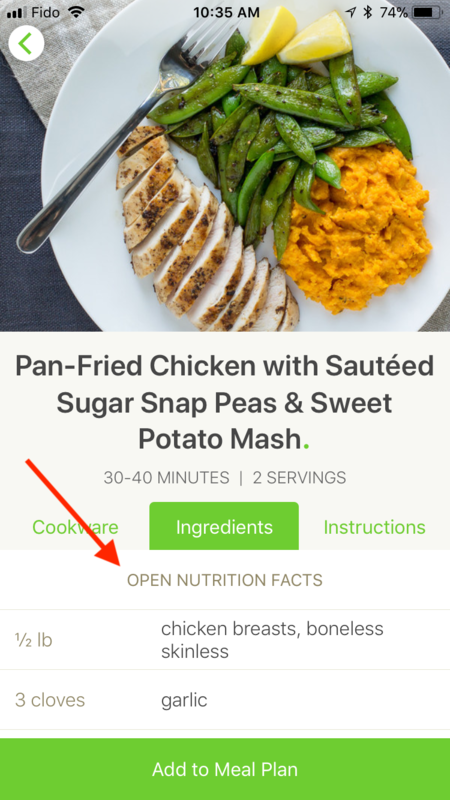 Tap on a recipe to open it, then tap on the Nutrition button in the toolbar, or on Open Nutrition Facts in the Ingredients tab. 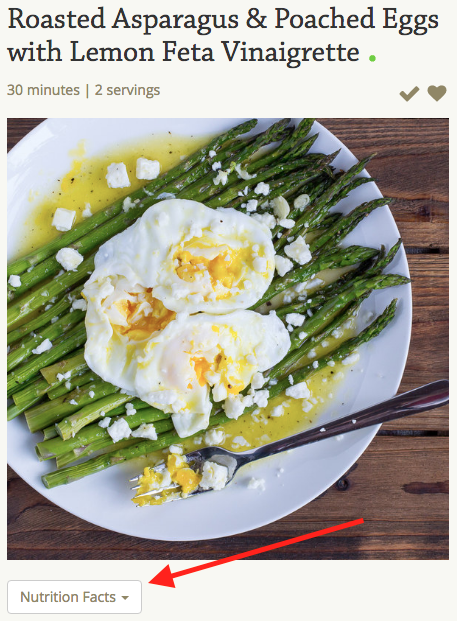 Tap New on the Meal Plan page to open the planner, then tap on a recipe to preview it. Once there, tap Nutrition Facts in the Ingredients tab. 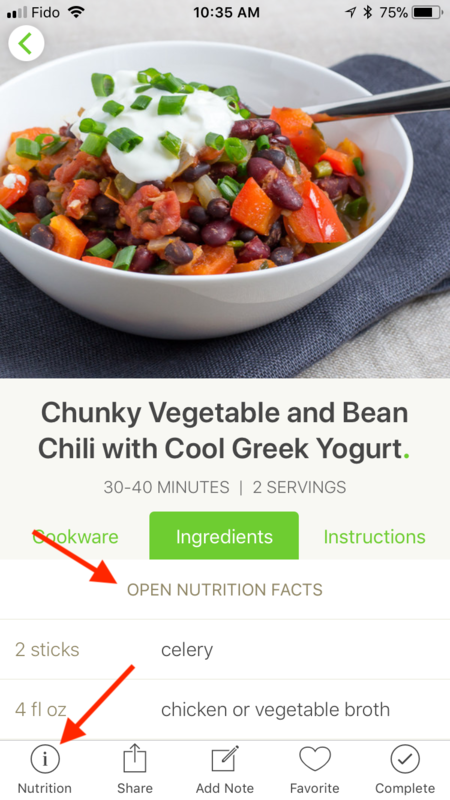 Click on a recipe to open it, then click on the Nutrition Facts button located underneath the recipe image. Click More nutrition facts for full nutritional details.